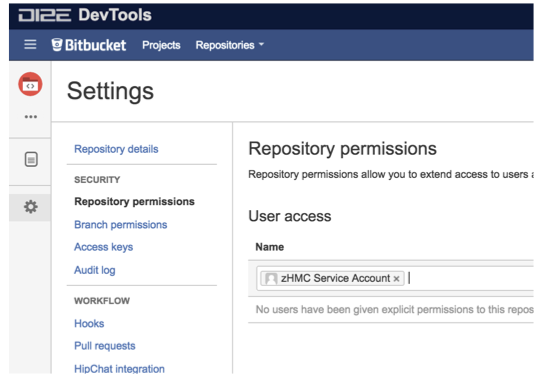 HmC provides built-in integrations with SoftwareForge and DI2E for building and deploying Source Code assets that use SoftwareForge Subversion or DI2E.net Bitbucket (Stash) as a source code repository. This is done via a site specific account in SoftwareForge and DI2E and simplifies the process for managing the required credentials. To use this integration, the site account must be allowed to access your source code project. Grant the role "Contributor" to the hmcbuildservice user. 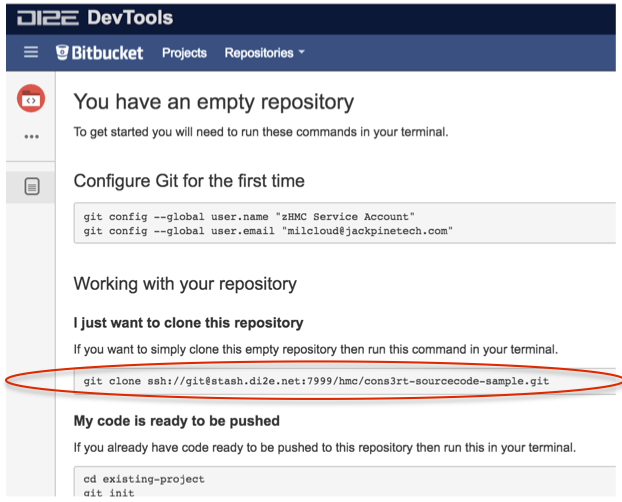 This allows CONS3RT to perform an "svn checkout" of your source code, but does not permit any commits to your source code. 2. Click on repository and select the value similar to what is circled in the figure below.